An exhibit of works by renowned artist Corita Kent is on display at the Malden Public Library in the Lower Gallery of the Converse Memorial Building. The works were donated in memory of longtime Malden resident Joan Aliberti after her death in 2002 by her mother Tina Aliberti. Corita Kent, also known as Sister Mary Corita, is the artist behind the brightly colored gas tanks in Dorchester that are seen along the Southeast Expressway. 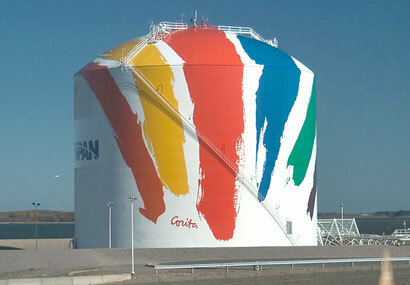 Known as the Rainbow Swash, the painting on the gas tanks comprise the largest piece of copyrighted artwork in the world. 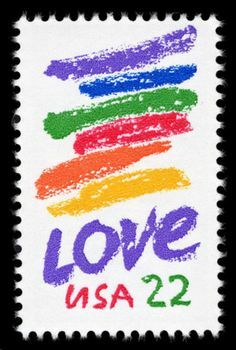 A similar design was used for the artist’s widely recognized 1985 Love stamp. Kent has an extensive body of work that incorporates abstract color, collage, and writing, expressing values of peace and social justice. Her works are included in collections at The Whitney, the Museum of Fine Arts Boston, and the Metropolitan Museum of Art. Joan Aliberti, a Malden educator, was a friend of the late artist and held a number of her works in her personal collection. 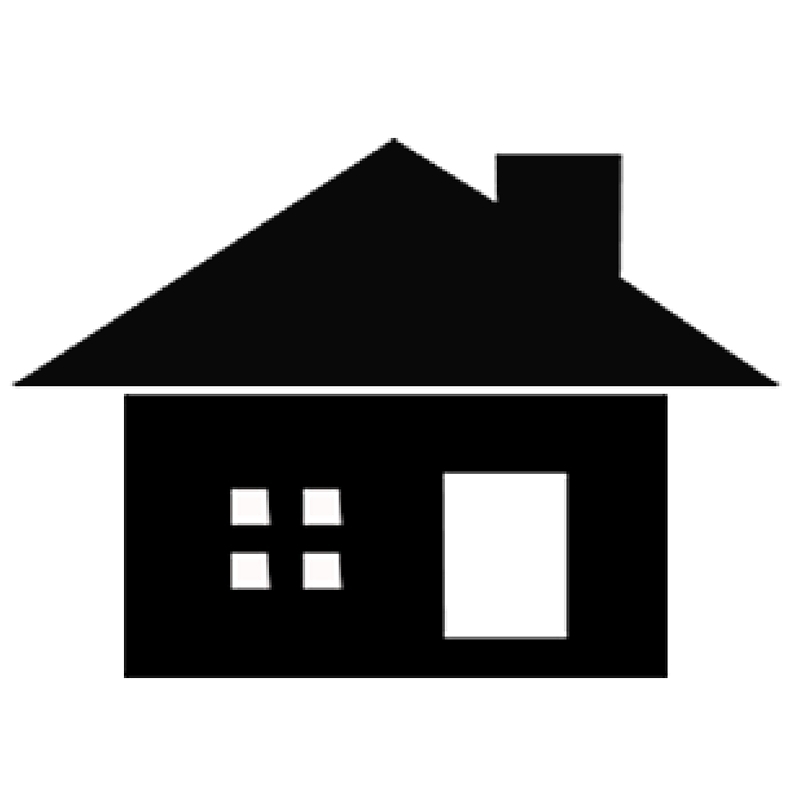 The pieces currently on display at the library represent the artist’s later body of work. Tina Aliberti requested that an exhibit be displayed in memory of her daughter. At the private reception on August 7, former Assistant Superintendent of Malden Schools George Holland spoke of Joan’s fierce independence, commitment to education, and spirited energy. He remarked that, particularly for folks that did not know Joan, her spirit lives on through the donation of these works. 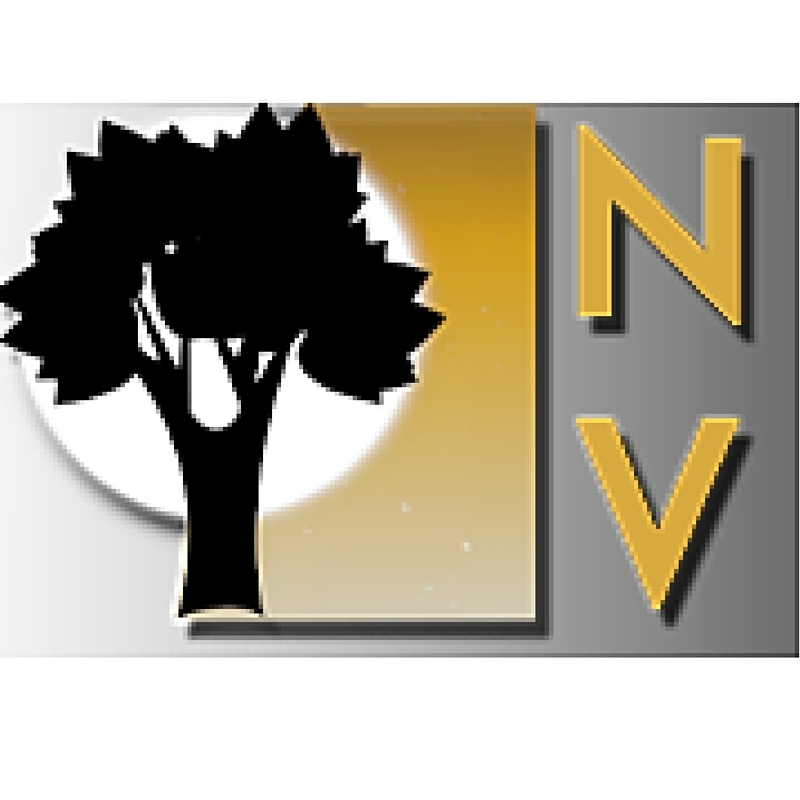 The paintings can currently be viewed during local history hours: Mondays from 6:00 p.m. – 8:00 p.m. and Wednesdays from 2:00 p.m. – 4:00 p.m. Information about the artist and her full body of work is included in the exhibit. 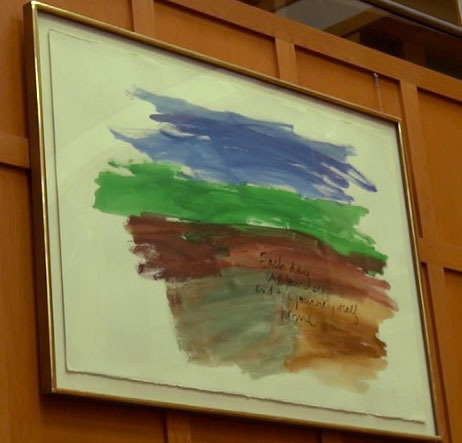 In addition to the artwork displayed in the exhibit, the library holds a Corita Kent piece on display in the main reading room of the library’s new wing (pictured right). Watch the clip from the private reception that recalls the life of Joan Aliberti and the artwork donated in her memory. neatly written article. I’ll be sure to bookmark it and come back to read extra of your useful info.